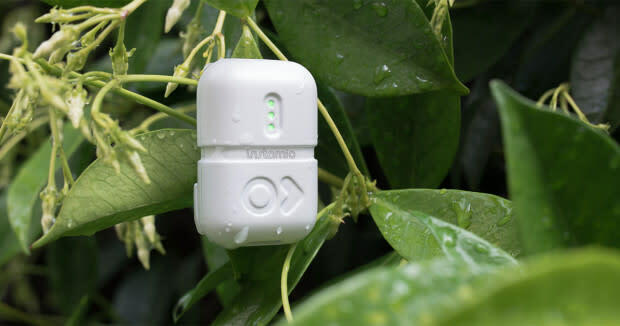 The Instamic was introduced to the world in June 2015 with a campaign on Indiegogo. Along with many other video producers and gear enthusiasts, we were initially very excited about the possibilities that the Instamic could bring to our documentary, corporate, and small crew productions. The term "game changer" was even thrown around a few times here at Gear Dads. But as with many innovative crowdfund campaigns, the challenges and realities of bringing a new product to the market - especially by well-intentioned first time inventors - often means the original timelines face delays due to unexpected bottlenecks. So when the campaign ran into its first set of production hurdles, we set aside our hopes and dreams for the Instamic and largely forgot about it, hoping it would work out eventually, but not depending on it being something we could actually use in the near future for our filmmaking projects. Today, we are extremely pleased to learn that the Instamic is now available and shipping from its direct store. 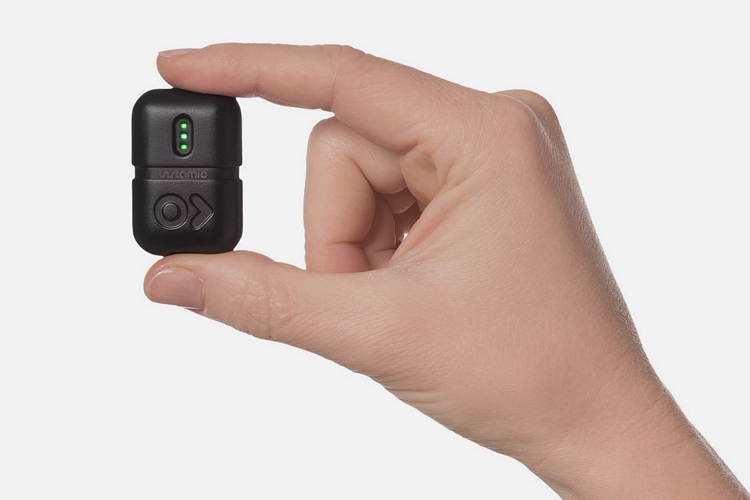 After delivering orders to 99.9% of their Indiegogo supporters, Instamic has also shipped over 1400 units through their Shopify store in the last few months. At the moment manufacturing is still in overdrive mode, which means supplies of the Instamic and accessories are limited, so if you want to buy an Instamic (or a few), you'll want to get in your order quickly. TL;DR - The Instamic is a tiny audio recorder that can be placed easily on subjects or objects for intimate sound recording that would otherwise be difficult or impossible with wireless lavaliere transmitters, portable recorders, or with long range shotgun microphones. 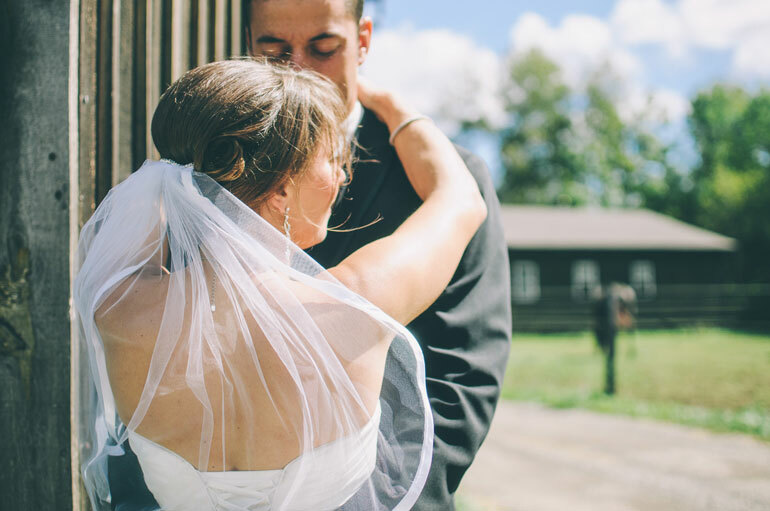 It really is a game changer for news, documentary, corporate, and wedding filmmakers. Or anyone looking to easily improve their audio game without getting into complicated sound rigging. The importance of good audio can never be understated - it's been said many times that a good video story should have as much (or more) emphasis on audio capture as the effort spent on visuals. That's certainly true in narrative filmmaking, where a sound rich audio track can elevate an amateur film into an engaging story with enough suspension of disbelief to make up for any lacking images. Alternatively, an amazing visual story can be quickly foiled by bad audio. In documentary and corporate filmmaking, however, almost the entirety of the audio production is focused on interview capture, while B-roll nats are often buried under music beds. Part of the reason we don't focus on environment audio in documentary, corporate, or even wedding videography is because small crews and solo shooters often don't have the luxury of sound recordists capturing whatever is in front of the camera with microphones close enough to the action. On-camera microphones simply don't get close enough to subjects and action to really bring viewers into the story with rich sound. And in factual filmmaking, you don't have the option to go back in with a dedicated sound recorder to re-capture B-roll audio. At least not in most typical everyday productions. And definitely not for dialogue. But what about lavaliers? Can't we hide lav mics anywhere? After all, they’re tiny but still deliver professional results. Yes, lavs are very small, but they require either a standalone recorder to plug into, or a wireless transmitter that sends a signal to your camera (or recorder). These devices are getting smaller, but you’ll have to wrap a lav mic cable and its capsule around the unit, which forms a small bundle that can be a bit messy. The dream would be to take a tiny lavalier mic, chop off the cable, combine it with a small amount of internal power, and throw in an internal recorder. Plus a little bluetooth chip for connection to a smartphone. Basically a lav mic without the bulky attachments, in a little hard shell case that you could pop anywhere, turn it on, and let it capture intimate audio while you’re doing other things. Well that’s more or less what the Instamic is. A standalone, one button lav mic. With some bonus features. 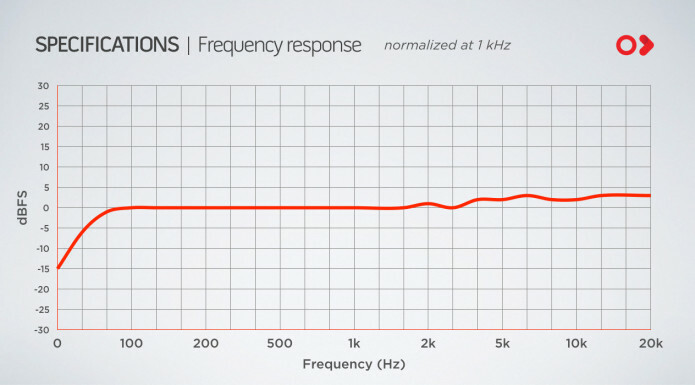 Frequency response of 50 - 20,000 Hz. Mono, Dual Mono, and Stereo recording (on the Pro only), up to 16 hours. Internal Li-ion rechargeable battery that lasts up to 3.5 hours, with 1 hour recharge time. The microphone is actually an array of 4 Omnidirectional MEMS microphones, which are miniature digital mics built on silicon chips. The Pro Stereo model has an additional two MEMS mics on the sides. 1.5 x 1.0 x 0.5 inches - or about the size of the upper portion of your thumb. Weighs 18 grams or about 0.6 ounces. Exterior has 3 LEDs indicating battery and charging level, VU meter, and on/off/record operation. 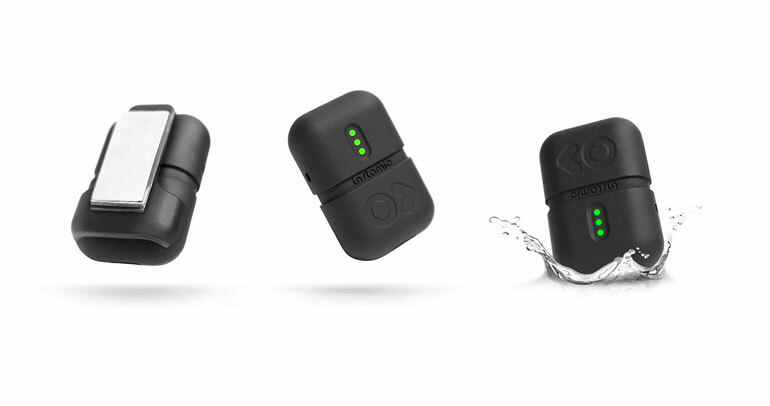 Instamic is IP65 splash proof by rain and water spray; Instamic Pro is waterproof up to 5 feet underwater. USB 2.0 port for charging and file transfering to a computer. Bluetooth 4.0 connection to the Instamic mobile app, which can control up to 10 Instamics, set levels, and start/stop recording. Recording level is automatically set on its own based on the first 8 seconds of audio input when the Auto Gain function is activated. Instamic can be used in standalone mode without a phone, and triggered holding the button on the unit. Quick release clip has an option for attaching via magnet, velcro, or 3M adhesive. 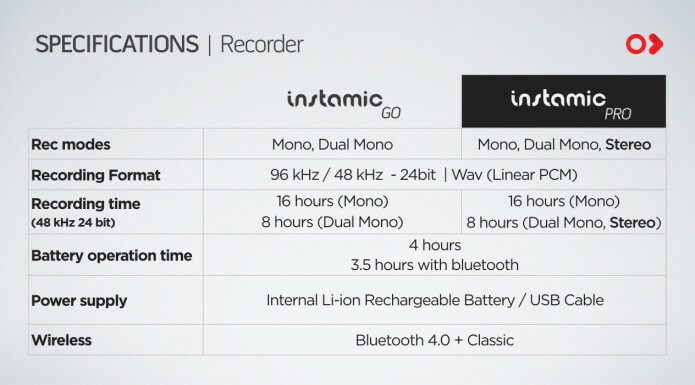 As you can see by the specs, the size, weight and simplicity of the Instamic are the core of what make it unique and potentially very useful. The 3-4 hour battery life is not ideal, especially if you want to set it and forget it during an event, but you can also attach a small USB battery to it for extended power. What are MEMS mics? They’re very small semiconductor chips that convert change in air flow into a digital audio signal. These are smaller than any electret condenser lav, and they offer higher Signal-to-Noise-Ratio capabilities. 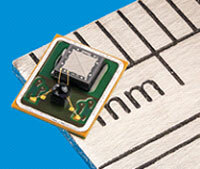 MEMS mics are starting to show﻿﻿ u﻿p in consumer electronics. The iPhone 7 has a 4-MEMS array, for example, and the Amazon Alexa uses them too. However, there are different MEMS manufacturers and also different ways in which they're configured. On the Instamic, they are setup to maximize the Signal-to-Noise-Ratio, where on consumer electronics they are positioned for voice recognition from any direction. Imagine you’re shooting a video about a subject - say, a horse racer. You’re working solo, so you shoot with a long lens from the sidelines. Your camera captures the sound of the loudspeakers announcing the race, the roar of the crowd, the ground rumbling as the horses fly by. Now consider how much more intimate your video would be if you could place an Instamic on your subject, a racer who can’t add the weight of a pocket recorder or wireless transmitter to his or her body. You have not only the arena sound, but the close sound of your racer speaking to your star horse before, during, and after the race. Now add a few more Instamics to the mix. You clip one on your racer's spouse watching from the stands. You clip another one near the cashier’s window, taking last minute bets before the race begins. Some of those sounds you can certainly capture before and after the race, and creatively edit into your video. But for the most part, the race happens once, amd everything that happens during that race, and the way it sounds to someone in the stands, in the announcer’s box, at the cashier booth, across the empty lot, or listening at home on an old radio - there’s no way to recreate that. That’s just one random example of being able to imagine a more sound rich story, now that you have access to little audio recorders smaller than a thumb, which you can leave anywhere or with anyone, and collect after your shoot is done. While the Instamic can certainly open your filmmaking habits up to new approaches in sound recording, more commonly it’ll replace what you’re already doing with lav kits and wireless transmitters or standalone recorders. 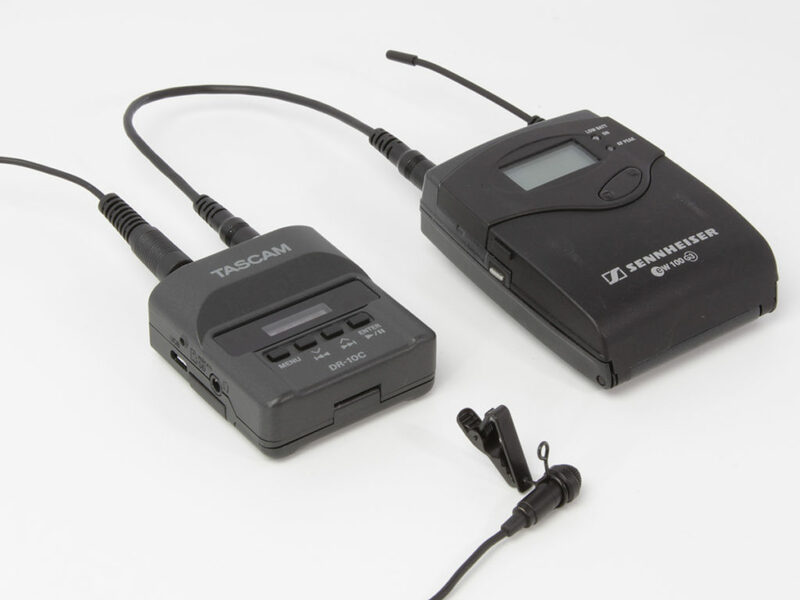 The immediate benefit of the Instamic is that the complete microphone and recorder exists in this little package, versus a lavaliere wrapped around a transmitter or recorder. There are many situations where that’s either not possible, impractical, or simply a stretch for the subject. If for whatever reason you mess up the audio in either of those scenarios, you’re hosed. But in reality it happens more often than we wish. We've experienced a few wedding audio disasters ourselves, like wireless feeds working perfectly until the moment the ceremony begins. You can’t interrupt the officiant to go and fiddle with the groom's transmitter. Also very typical is you setup your external recorder to the line-out of the speaker system, and everything sounds great when you test it. But when you come back to pick it up, you find the battery has gone out at the worst time, or the sound is clipping because levels changed after your testing, or sometimes the DJ or someone else has mistakenly unplugged your feed. More common than these audio nightmares is you’re just not able to place a mic where you want to. Seasoned audio pros will tell you to tape a wireless transmitter under a bride’s dress, around her thigh, and attach the lavaliere in the center of her bra. Good luck with that. What about the groom? Can’t you place a recorder in his chest pocket? Yes, often you can. But sometimes it makes his jacket bulge, and a parent or photographer notices and suddenly you are in a pinch. 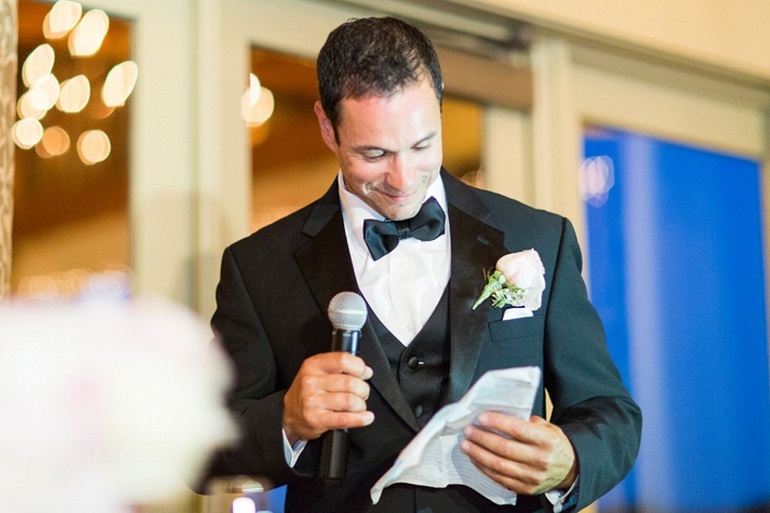 What about reception speeches? How do you ensure that you can record the parents and members of the wedding party, if they’re not sitting close enough to each other to use your carefully placed table mic, or they don’t use the house microphone, or they simply go off script and start walking around during their toast? As the following video shows, with the Instamic you can quickly attach a mic to the bride, groom, bridesmaids, parents, the officiant. If you have a few Instamics, you can place them on all of the reception speakers, ensuring that you come away with good audio from every one of them, no matter what they do during their speech. Of course, all systems have the potential to fail during a wedding. Even if it has nothing to do with the device itself - batteries can go out, clothes cause rubbing, or the subject decides to remove his jacket with the audio recorder in it. So for safety, wedding videographers should always consider backup systems for their audio. In this case, the Instamic could be the primary system, or it could be an affordable and easy backup mic in case your plan A fails. Honestly for most factual productions, it’s not an issue to attach a lav and wireless transmitter to your primary subject. In fact, you want to be able to monitor the audio, since much of your program depends on the audio from your subject. But there are lots of times when you don’t actualy plan to use a lav on your subject because you’re just capturing their visuals. And so you don’t bother with rigging them up with audio capture. Of course, you regret it as soon as they say something precious to a passerby, or the phone rings and they have a great conversation. The other scenario that happens quite a bit is you come across secondary figures or subjects, who weren’t already part of the production, but you want to convince them to be part of the action for a few minutes of taping. In this case, it can be intimidating to unload a bunch of audio gear in front of them, run a lav cable under their shirt, pierce their jacket with vampire clips, tape some gaff to their skin, and so on. Being able to walk up to someone and say, “Hey, do you want to be part of this video we’re doing? It’ll only take a few minutes.” Magnetically clip an Instamic on them, or tape it to the inside of their jacket, sign a release, and start rolling. So with an Instamic or two in your kit, there’s no more excuses for not having great audio if the opportunity arises. You don’t have to use the audio that the Instamic records, but there’s absolutely no reason not to attach one to your subject at all times, bring one along for people they meet, and so on. That goes for podcasting, video and radio journalism, and anyone else who comes across people everyday who would make a great addition to the story they’re working on. Clip an Instamic to them and start rolling. 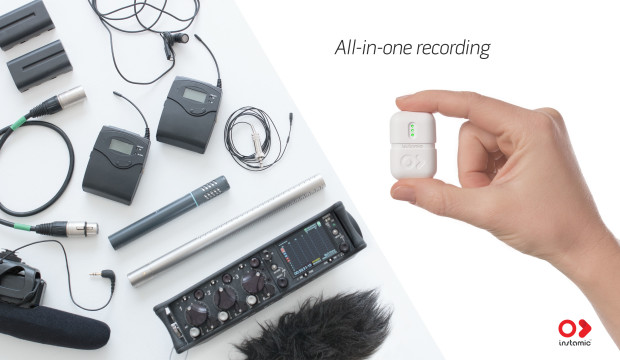 Although the Instamic is unique in size and practical use, it’s not the only standalone pocket recorder or wireless microphone out there right now. The Zoom H1n Handy Recorder has been an industry standard for pocket recorders for a long time, and recently it’s even been re-released with some updates to the original. 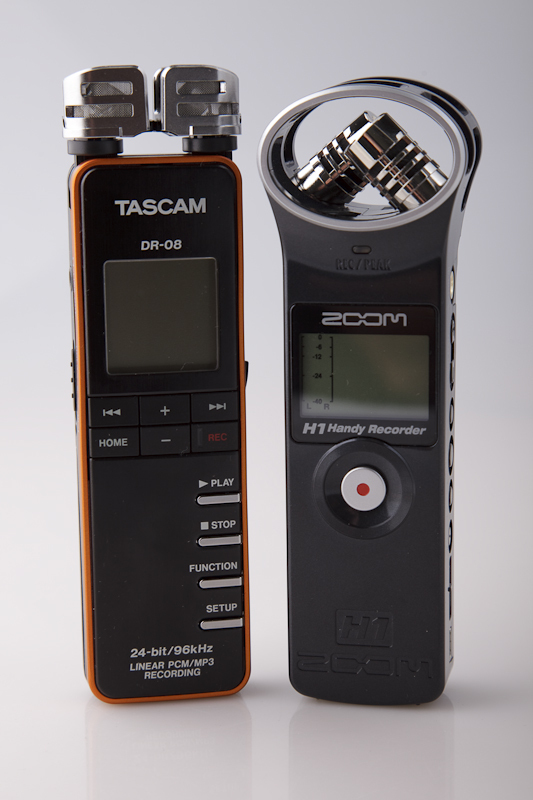 The H1n, along with other similar recorders like the Tascam DR-05, are nice in that they have both internal mics as well as inputs for lavaliers. The problem we’ve found with them is their batteries tend to go out very quickly, usually at the worst moment. The connection points for microphone inputs can be spotty too, which isn’t pleasant when you leave them with your subject and come back to find the entire recording has unusable cable rustling. 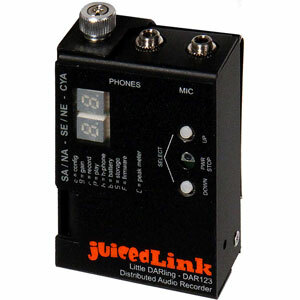 More recently, we’ve seen very small recorders from Tascam, Juicedlink, and Lectrosonics, that are built to work with lav mics. Most of these were initially supposed to be wireless transmitters which also had built-in recorders for backup - in case the wireless feed was interrupted. Brilliant idea - why don’t all wireless microphone systems have that? Well, because Zaxcom has a patent in the US for wireless transmitters / recorders, so competitors have had to disable the wireless transmission part. The Tascam DR-10C specifically attracted a lot of attention among the wedding videographer crowd when it was offered briefly in the US, before they were forced to pull it from US markets. Savvy shoppers can still purchase the unit from overseas, if you’re really committed. The problem with the Tascam DR-10C is you now have this ultra beefy system where the lavaliere attaches to the DR-10C, which then has a line-out to your wireless transmitter of choice - Sennheiser, Rode, Sony, all of them will work. Together, you have a great backup system that works well for male subjects with deep jacket pockets - not so well for anyone else. And so Tascam modified the system and have released the Tascam DR-10L in the US, which is a recorder-only without the ability to send audio out. You can listen to a few seconds with your headphones to ensure levels are good, before the audio signal is turned off. The JuicedLink Little DARling was similar in concept, though a little less smooth around the edges. JuicedLink has made great audio gear in the past, but it appears they've completely shuttered their business. The Little DARling ​was quickly snapped up by reality TV producers who could attach a unit to many subjects, and just let their audio roll even if there's no camera nearby. That ensures that no important character moment is missed. 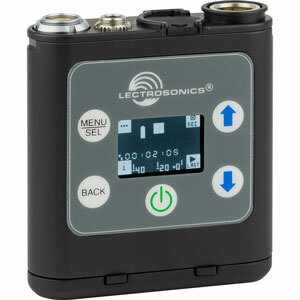 Lectrosonics has the Portable Digital Audio Re﻿corder (PDR). It’s very small in size, powered by a single AAA battery, and has some pro grade features like timecode sync. But for the average person, a Lectrosonics PDR with a Countryman B6 lavalier is over $1k, a little too steep to risk losing by leaving it behind somewhere. And remember you can’t monitor your audio without a wireless transmission, so for your primary subject, one of these would still be backup to a wireless transmitter and lavalier. Zaxcom, the holder of the US patent for wireless transmission with record functions, has the tiny ZMT3 Miniature Transmitter. It’s about the size of a zippo lighter. And it has both record as well as wireless transmission, so you can not only place it in inconspicous areas but also monitor your audio feed. 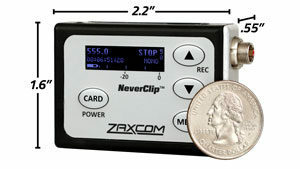 One thing to note about the Zaxcom ZMT3 is that although the transmitter is small, Zaxcom’s receivers are not. They’re meant for audio professionals who carry bags strictly for their audio gear. Not the solo video journalist or wedding videographer. And also it’s close to $2k, so there’s that. What about our favorite ﻿﻿wireless microphone, Mikme? It has both standalone recording as well as bluetooth pairing to replace the default audio on your smartphone. It really is simple and easy to use, and it sounds really, really good. 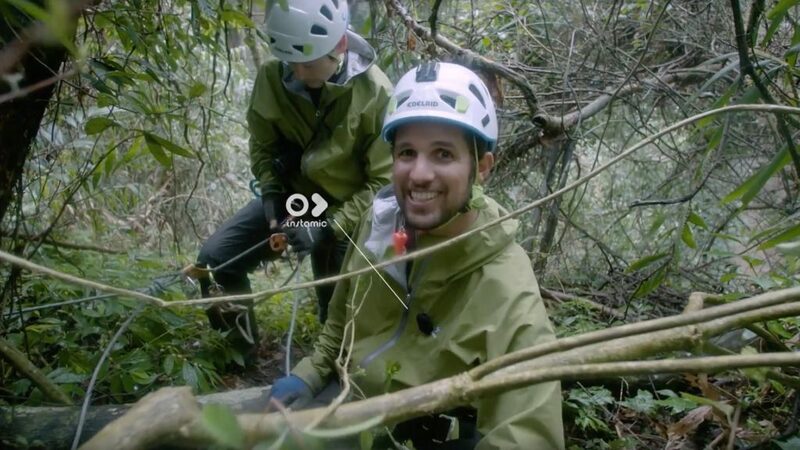 As much as we love it for voice over, handheld recording on the fly, and especially using it to replace our computer audio for live streaming and Skype calls, the Mikme is too big to drop in a jacket pocket, or to attach to clothing, or to try to hide it on an instrument in a way that’s not visible on camera. In a wedding setting, for example, you could certainly place a few Mikme mics on various tables, but unless speakers hold it up, it’ll never get as close to the subject’s voice as a clipped-on Instamic. The new Sennheiser Memory Mic, too, is too big to clip onto documentary or wedding subjects, with the hope of hiding it from the camera’s frame. The other weakness is there’s no standalone mode - you can’t use the microphone without pairing it first with a phone, and then starting the record. Of course, the ability of the Instamic to record good, clean audio is as important as its convenience. Reviewers have tested it in comparison to other lav mics paired with transmitters, as well as larger microphones. A microphone as small as the Instamic will never match the quality of a condenser shotgun mic. But it’s important to remember the first rule of audio capture: proximity to the sound source beats any other consideration of microphone quality. The cheapest Radio Shack mic placed a foot away from a subject will always sound better than a $4000 shotgun like the Schoeps SuperCMIT, or even a parabolic microphone, when they’re used 6 feet away from the sound source. 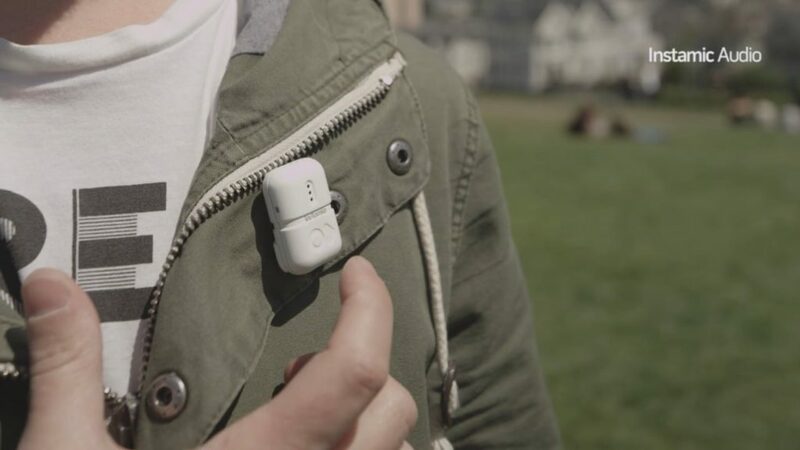 Now, compared to a professional lavaliere with a pocket recorder placed in exactly the same spot as the Instamic, you’ll most likely have cleaner audio from the lavalier. But how much better is that audio, when the system is four times as large and expensive as a little Instamic, becomes an exercise in the law of diminishing returns. From our estimation, based on years of field production, there’s simply a much greater probability that you’ll use an Instamic where on previous occasions you’ve opted to not leave a lav/recorder/transmitter on a table, or placed on a subject. The point is you get good audio where before you had none. Think about our use case we described earlier - the horse race. You may get away with placing a lav and transmitter on your racer, but would you leave a series of lav kits in the other areas - next to the announcer, inside the cashier booth, under the stands, on the road across the lot, in a parked car with a radio playing, or on a willing participant in the crowd? Like many out there who have supported crowdfund campaigns, only to experience long delays in shipping, it’s easy to get soured on innovative products that launch on Kickstarter or Indiegogo. 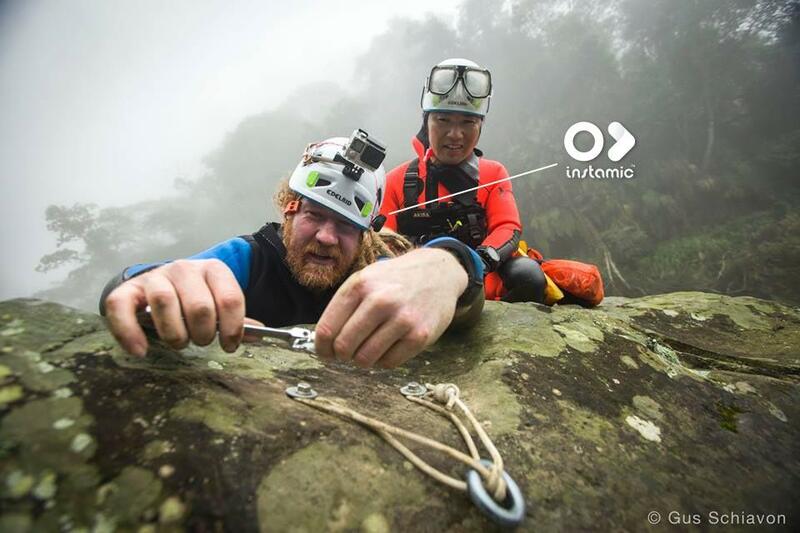 When the Instamic campaign was underway, we had recently contributed to a few crowdfund campaigns that experienced extended delays, and so we settled on a wait and see attitude with the Instamic. Yes, it’s been two years since the initial campaign launched, but the innovator and founder, Michele Baggio, does not have the resources that a mid to large electronics company has. In fact, he’s a video producer like we are, who had a great idea and the courage to undertake the risk in the hopes of releasing a product that he himself would want to use on productions. We here at Gear Dads have had plenty of great ideas for products, too, but a few late night, impassioned conversations does not make a product come to life. Our hats are off to Michele for convening his network of family and friends to help him manufacture something that can actually change the game for working video producers around the world. We’ve got an order in for an Instamic Pro, and we’re ecstatic to keep it in our gear bag for every production we undertake from now on. Will we end up using it on every project? Probably not, but we no longer have an excuse to skimp on sound rich audio storytelling because of gear limitations. Now that it's readily available, we believe we'll start seeing the Instamic show up in many productions for months and years to come. Will it become a part of your essential gear kit as well?